Meet James. Management Trainee extraordinaire. 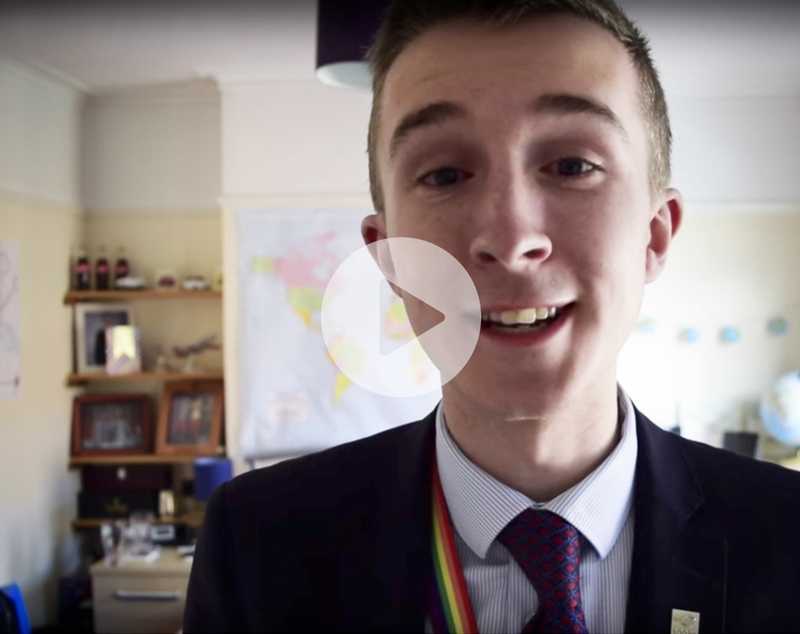 Go behind the scenes with him and discover what it’s like to be a Graduate Management Trainee at Enterprise. Where will you work? You’ll start close to home at one of our neighbourhood locations. You’ll build relationships with coworkers, customers, and mentors. Then, you’ll be ready for the big leagues – managing a multimillion-pound neighbourhood branch or airport location. The skills and experience you gain will be the foundation of your career. Enterprise started in neighbourhoods. Being a neighbour and a business partner to car dealerships, insurance representatives, and body shops. You'll listen and make decisions on how to best help each customer. You’ll manage a fleet of vehicles. And train and develop your staff. The goal? Make our customers’ lives a little easier and grow your business. At the airport, every day is different. And a new challenge. Your fleet of vehicles is bigger than a neighbourhood branch. And you’ll have more customers with different travel needs. You’ll learn skills that’ll help you continue to grow your career. Managing airport locations is about more than cars and employees. It’s sharing a fleet with our other brands. And doing what it takes to get your customers on their way. A leader? Yes. Strategic? For sure. Employees in this role make sure everything keeps running smoothly at our branches. Bigger than the branch, Area Managers cover a whole region and make sure everything keeps running smoothly, ensuring our customers get everywhere they want to go. Adaptable, agile and attentive, our Assistant Mangers share the responsibility of running the branch with the branch manager. This our community. The people who rely on Enterprise to get where they need to go. And the businesses that we partner with in order to make it all possible. Your talents. Let’s make sure they measure up. Hands down, customer service is the most important thing at Enterprise. It’s not a policy. Or a gimmick. It’s our business and a way of life around here. Our goal is to exceed customer expectations. That means you’ll be more than friendly, you’ll care about our customers and take the time and effort to build relationships with them. Great things happen when you listen. It helps you understand what the customer wants and makes the sale that much simpler. Why does that matter? Because getting to know your teammates and building relationships with customers are sales strategies vital to our growth and success. And, as a Graduate Management Trainee, that’s a sales philosophy you’ll have to get behind. If you’re a type of person that springs into action when faced with a challenge, then we’re looking for you. Positive and enthusiastic? Have the will and want to launch a successful career? All the better. We want proactive people looking to deliver great results, not make excuses. Winning the respect of those around is never easy. But if you’re the type of person who believes teamwork makes great things happen, then we’re looking for you. Because being a leader doesn’t mean commanding a room, it means being confident enough to listen to others and work together. A big part of being great at communication is listening. It also means having the ability to get your message across confidently, openly, and persuasively. Our Graduate Management Trainees have every tool in the communication toolbox, and know how to lend an ear, and get their point across. Flexible? Good. Sometimes you might have to bend over backward and prioritise the way you work. So, if you’re willing to get things done quickly and are ready to meet our customers’ needs while juggling several other tasks, then you’ll fit right in. This is just the tip of the iceberg. As a Graduate Management Trainee, the more you put in to the programme, the more you’ll get out of it. We promote from within, based on performance. Not seniority. Take advantage of any and every opportunity. And enjoy the rewards.